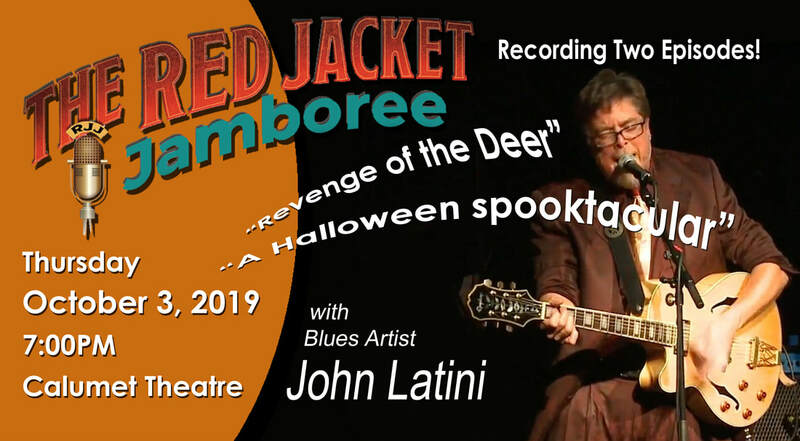 Episodes: "Revenge of the Deer" & "A Halloween Spooktacular"
The cast of The Red Jacket Jamboree and Bluesman John Latini bring you an evening of mystery and suspense during the recording of two spooktacular episodes that will have you on the edge of your seat! Don't be afraid! Our good humored ghosts will have you chuckling, not screaming in this show! 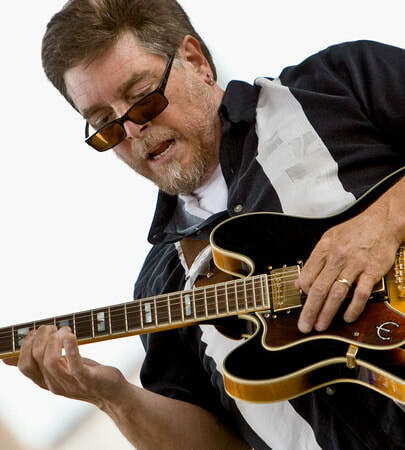 John Latini has won accolades and awards for his gritty blues and rock tunes packed with humor, gut-wrenching honesty and a irony. The Detroit Bluesman has garnered numerous awards including the Metro Detroit Songwriting Grand Prize in 2004 and the Detroit Blues Challenge winner in 2008 and 2009 and recently the 2018 Dallas Songwriter Award. Latini's brand of humor is the perfect match for these whacky episodes: "Spooktacular" and "Revenge of the Deer," an episode on deer hunting that will have vegans cheering! Latini and the Copper Cats collaborate on this star-studded evening.